Guest post by Gabriel Leon, Scott Gates, and Kristian Skrede Gleditsch. 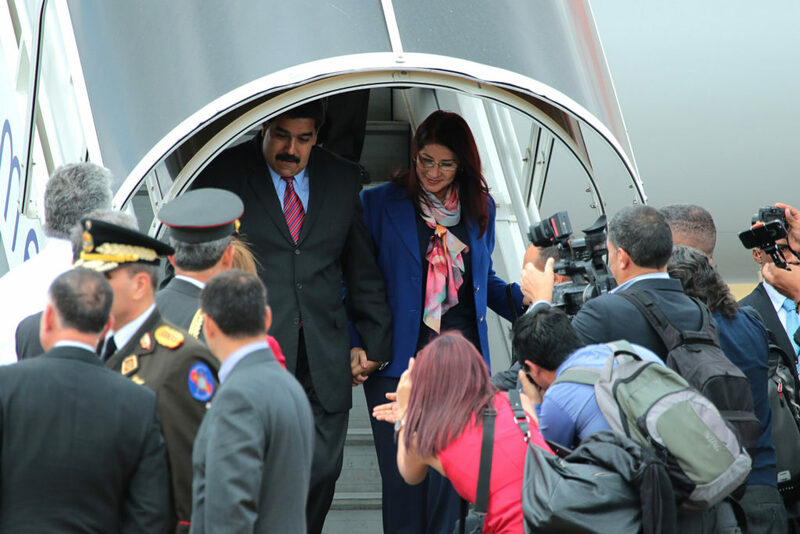 Venezuelan President Nicolás Maduro arrives in Quito, Ecuador, September 20, 2015. Photo via Archivo Medios Públicos EP. On January 23rd, the head of Venezuela’s national assembly Juan Guaidó declared himself interim president of the country, while declaring the sitting president, Nicolas Maduro, to be illegitimate. Many countries, including the US, Canada, Brazil and Argentina immediately declared support. Many EU countries set a February 4th deadline for the Maduro regime to call for a new presidential election, and have now recognized Guaidó as the legitimate president. Venezuela has for a long time faced hyperinflation, an oil embargo, and widespread protest. And yet Maduro won’t give up power. Some speculate that he might be holding on because he fears punishment and has limited options of where to go. In the past, a former Latin American dictator could enjoy a comfortable retirement in exile in Paris or Madrid. But this is no longer a realistic option. Many Latin American dictators from the 1970s and 1980s have faced prosecution, including Pinochet in Chile and Videla in Argentina. According to Archigos database on political leaders, only about 5% of dictators leaving office before 1980 were imprisoned within a year, compared to about 10% after 1980. Leaders may also face trial long after leaving office, as demonstrated by the charges for genocide and crimes against humanity against former Guatemalan President Rios Montt in 2012. And not only those at the very top are affected; many mid-ranking officers in Argentina have been jailed for their participation in human rights abuses during the dictatorship. It is a good thing that dictators do not get away with their crimes, and those who undermine democracy and abuse human rights ought to be prosecuted. Indeed, the threat of future sanctions may deter military officers from overthrowing a democratically elected government. But this emphasis on holding dictators to account also has unintended consequences. It has led to the emergence of dictatorships that preserve a façade of democracy, but do not accept either open competition or the rule of law. Venezuela may be the first of these regimes to become a full-fledged dictatorship. A regime that becomes an entrenched dictatorship becomes more repressive and hard to remove, in part because of the negative consequences from losing office. Guaidó’s offer of amnesty to regime insiders is a clever move, but suffers from a lack of credibility as future leaders cannot in practice be bound by these promises. 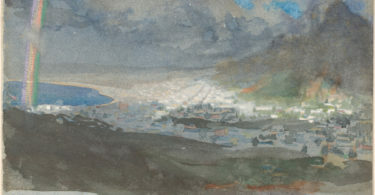 The extensive condemnation by much of the international community means that the number of possible exile destinations is small, and most options unappealing. Moskovsky Komsomolets noted how a “long, cold Moscow winter is not ideal … for Maduro, used to palm trees and a year-round average of 25C.” Other possible destinations such as Iran and Turkey also have considerable economic and political challenges. Future leaders may not be willing to bear the costs of dishing out funds for dictators in exile, and may agree to extradite to other states. Increasing banking transparency makes it more difficult to keep a retirement nest egg in foreign banks. Maduro may refuse to go, but why does the military—the traditional arbiter in much of Latin American politics—not push him out? Our previous research provides evidence that the military stages coups when its funding is cut. Nordlinger’s classic work on the military notes how Venezuela’s first successful democratic president “managed to serve out his entire constitutional term of office …. by providing the officers with the best salaries, rapid promotions, and a generous allotment of fringe benefits.” The highest ranks of the Venezuelan military have been partly insulated from the crisis. There is also fear of prosecution for widespread involvement in drug trafficking by members of the regime, with Maduro’s nephews currently serving a prison sentence in the US for smuggling cocaine. 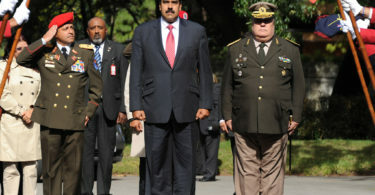 But as the US and neighboring Brazil and Colombia prepare to deliver aid to border areas, the presence of military forces and the threat of an international conflict could make Venezuelan officers reconsider their support for Maduro. Former dictators now often face prosecution, and there are only a handful of places Maduro could move to where he would be safe for the next two or three decades—this has been recognized and there are now efforts to provide an escape route for him and his clique. There is of course a tension at the core of this decision: should dictators be allowed a comfortable retirement, immune from prosecution? A clear answer to this question could help not only Venezuela, but every other country that is trying to break free from the grips of a dictatorship. Gabriel Leon is a Senior Lecturer in Political Economy at King’s College London. Scott Gates is a Professor in the Department of Political Science at University of Oslo and Research Professor at Peace Research Institute Oslo. Kristian Skrede Gleditsch is a Professor of Political Science at the University of Essex and a research associate at Peace Research Institute Oslo.